Dream of an Opium Eater is a special collaboration originally created by invitation for Roskilde Festival. accompanied by original musical score of an unsettling and epic nature. 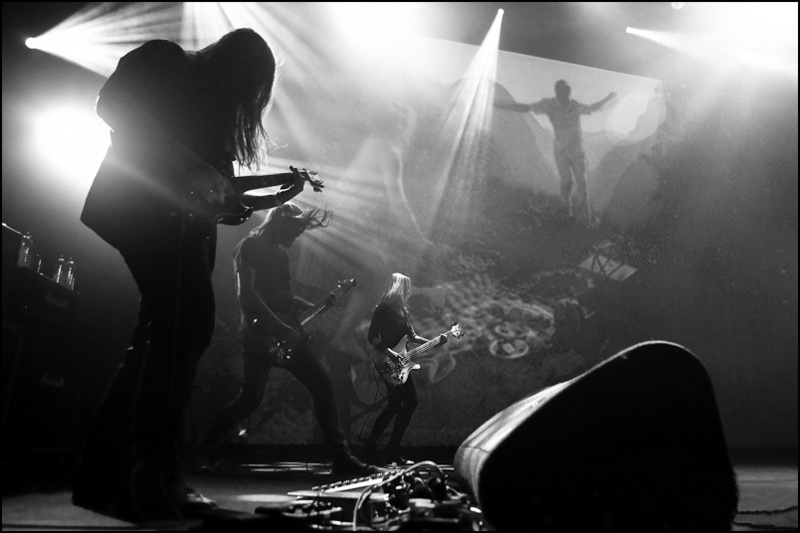 Wacken Open Air 2008 and Roadburn festival 2010. Back in the old days, a pianist usually accompanied screenings of silent films. With Dream of an Opium Eater, a handful of ace metal musicians carry on this tradition. They play intense metal to a number of horror short films projected on a screen above them. In this way, they will bathe all ears and eyes in icy horror and fright. as the surreal and disturbing images on the screen find a parallel in the guitar-borne nightmare from the speakers..
Reuben Gotto from Twin Zero / Johnny Truant and Julia Ruzicka from Million Dead.